A type off ginger. The flowers are edible. These flowers will grow out of te soil. That is someting new. 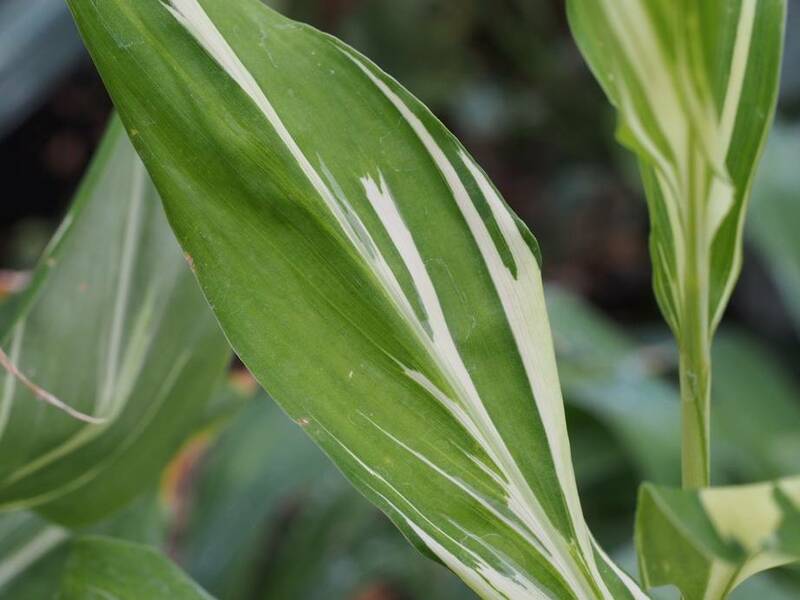 The leaves are marked with white marks.